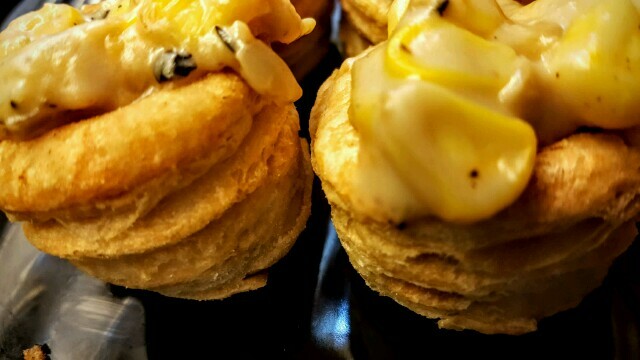 These Vol Au Vent’s were made for a group of friends who had completely different tastes–the worse combination to entertain together if you ask me…those who loved meats and the other lot who didn’t even touch onion. And I had all of two hours to put snacks together. A quick peek into my pantry and i was set. I’d taken the easy way out. Dips with Apple and Kale Chips, Hummus with Pita Bread a Fresh Green and Citrus salad with Goat Cheese and these beauties that could be served two ways–with corn and cheese and mince meat. 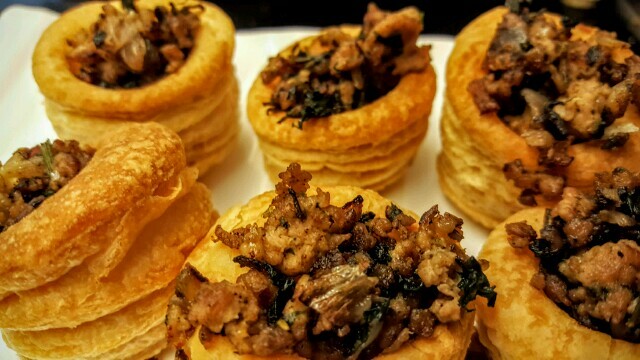 To make the Vol au Vent’s refer to the recipe here. 1. In a skillet heat the oil and add the onion till it is translucent. Add the corn flour and cook for 5 minutes, making sure the flour doesn’t burn. 2. Add the corn and stir well. Since it is boiled corn, you just need to cook it till it gets a golden colour. 3. Add the cheese and the milk, add the seasoning and herbs and cook till the corn is wrapped in a thick cheesy sauce. 4. 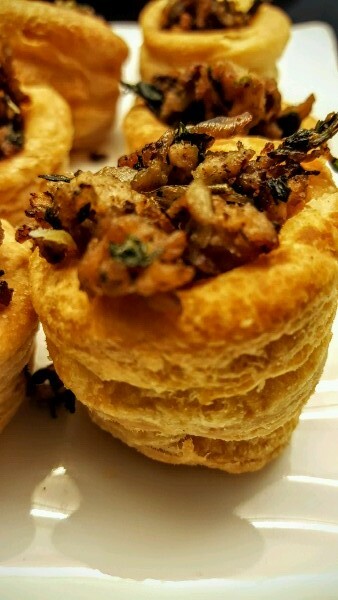 Heat your vol-au-vent in a pre heated oven at 200 degree centigrade. 5. Fill in the hot cheesy corn mixture, sprinkle some cheese and serve hot. You could add a green leaf like a parsley or coriander to dress it up. 1. In a skillet heat the oil and add the onion till it is translucent. Add the chicken mince and saute it till cooked. You could add a little water to help the process. Cover the cook the mince as this speeds up the process. 2. 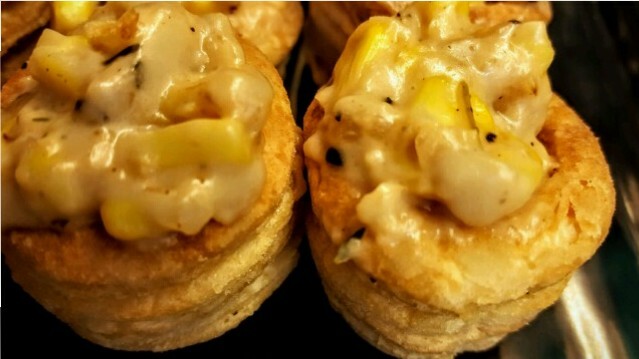 Heat your vol-au-vent in a pre heated oven at 200 degree centigrade. 3. Fill in the mince. Dress it up with fresh coriander or thyme and serve hot.